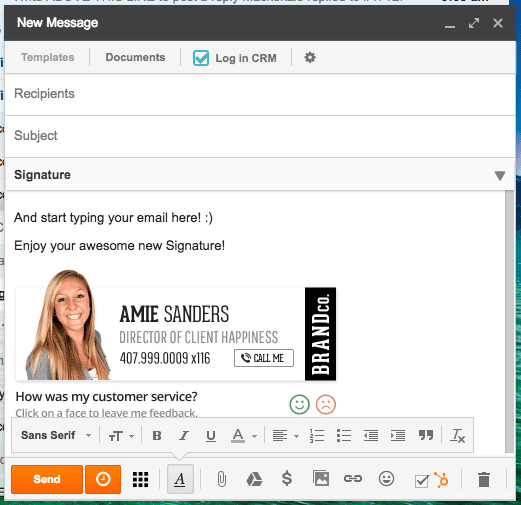 Need some help installing your email signature? So you’ve purchased the Email Signature and worked with our amazing team of designers to get it completely custom designed to match your branding. How exciting is that? Step one completed and now its time to actually put it to use! Now what? 1) Once the file has been completed, you’ll be able to find the link to your Signature within your account settings or it was emailed to you when your proof was approved and finalized. Click on the link and it’ll open up in your web browser of choice. 2) With your cursor, highlight to select your entire signature. Next, hit CTRL+C on your PC (or Command+C on a MAC) on your keyboard to copy the entire file. 3) Next, open up your Gmail email account. 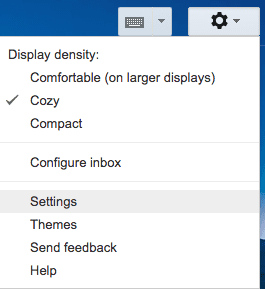 4) Click on the gray gear icon in the top right hand corner of Gmail and go to Settings. Hit Save Changes at the bottom and that should save your Signature for easy access when you are composing an email in Gmail from any computer.